Most of the smartphone users do not pay more attention to the notification lights but some give more importance. If you are such kind of user then check out the app called LEDBlinker released by the XDA forum member MOST2K2. Obviously, the capabilities of the application is limited to your hardware. 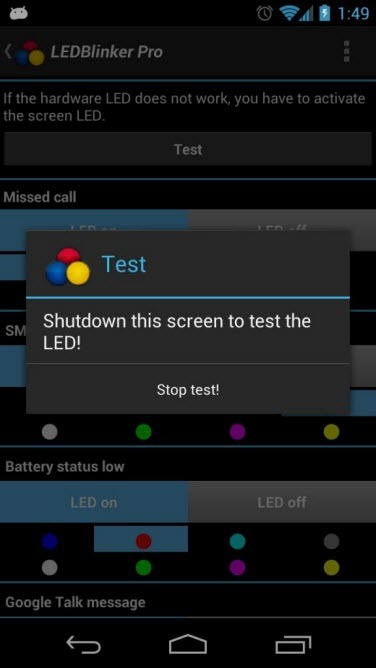 If you don’t have multi-color LED notification lights, of course, you won’t be able to take advantage of that. If you don’t have notification LEDs at all, the app can help you configure your screen to flash when you have notifications. It is available in Google Play or AndroidPit. Will this work with Jelly bean on s3?